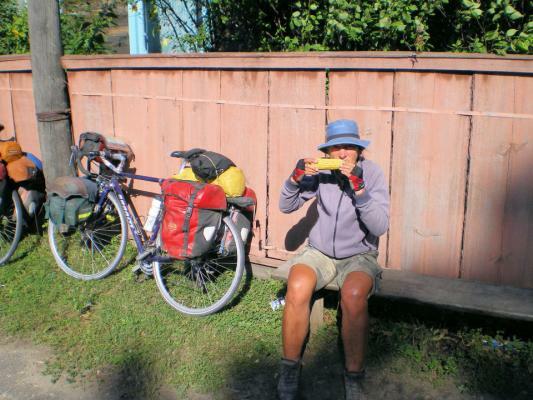 Why a bicycle ride across Russia? A cold morning today. We started back on the rough gravel road. Not too many potholes but still rough. At 21km we reached Базисное and a cafe. From here another 14km and were to turnoff to Шимановск. They were building a large road interchange including a new bridge. We walked up to ask for next cafe and then crossed the bridge through construction as well. At this point at 35km, the asphalt started! We had a nice, very smooth road that had gentle hills. It was nice to suddenly travel nearly twice as fast as before. There wasn’t anything as far as villages were concerned. 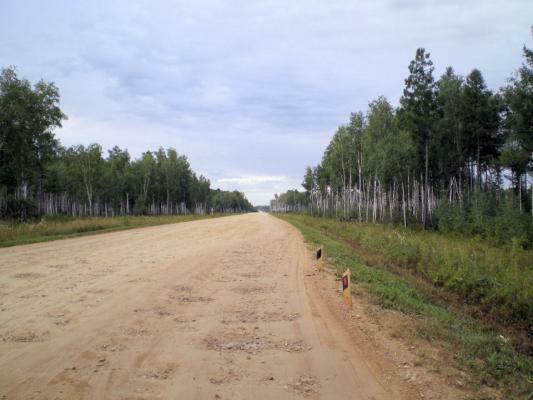 At 79km, the new road suddenly stopped with signs to Углегорск (1km) and Свободныи (49km). We chose the former to find a store and cafe. 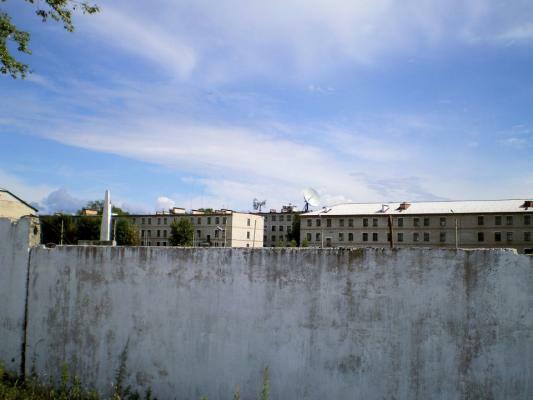 Углегорск was all walled off with guard stations. Apparently this is a space command and missile city. We did find a cafe however at the gas station. From here the new road wasn’t ready, so we were on the old road headed towards Свободныи. It was also paved, though rougher. 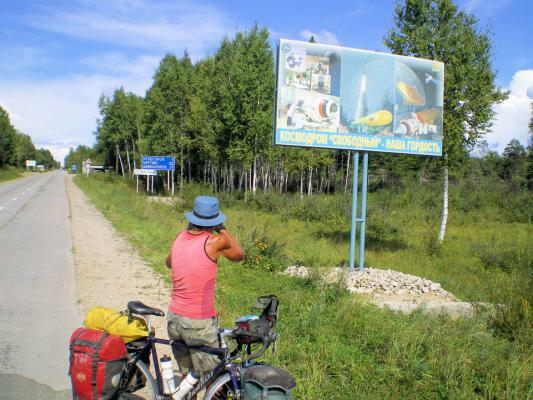 We cycled through village of Разливная looking for a store and then on to Черновка. Many of the towns people had produce out for sale and we had some good corn on the cob. We asked for water and then camped in the woods south of town. A nice variety of roads today and nice to see asphalt again.